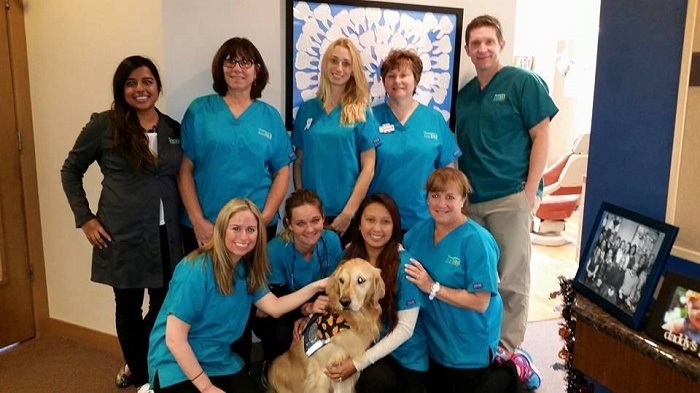 Home / Dog Blog / Meet JoJo the Goldie, Who is a Dental Assistant!! 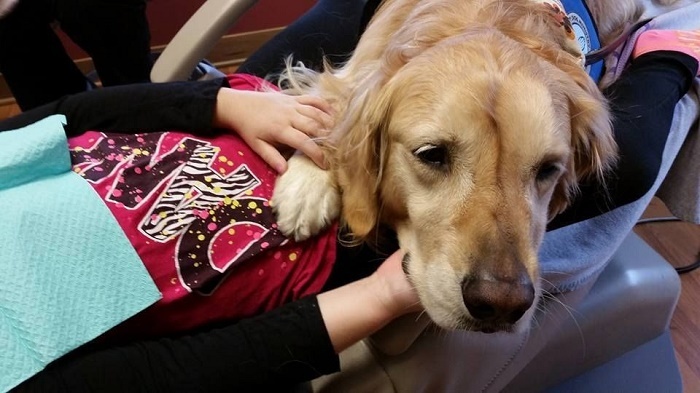 Meet JoJo the Goldie, Who is a Dental Assistant!! These pictures are so beautiful that I just want a dental appointment in Illinois NOW!! 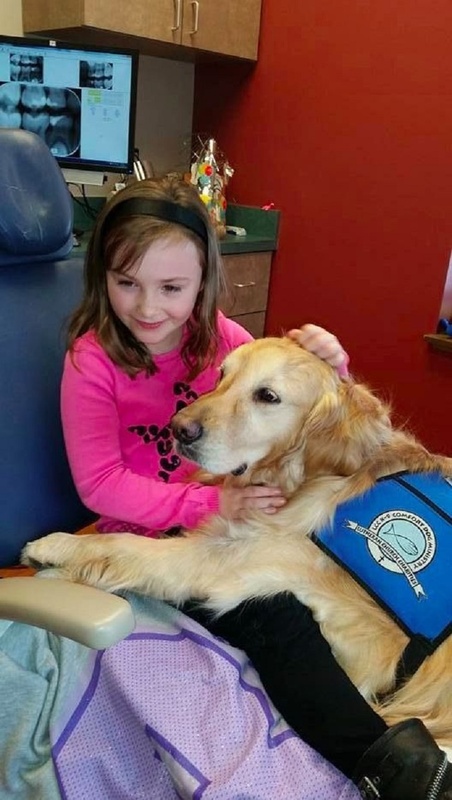 JoJo is an adorable golden retriever residing in Illinois. 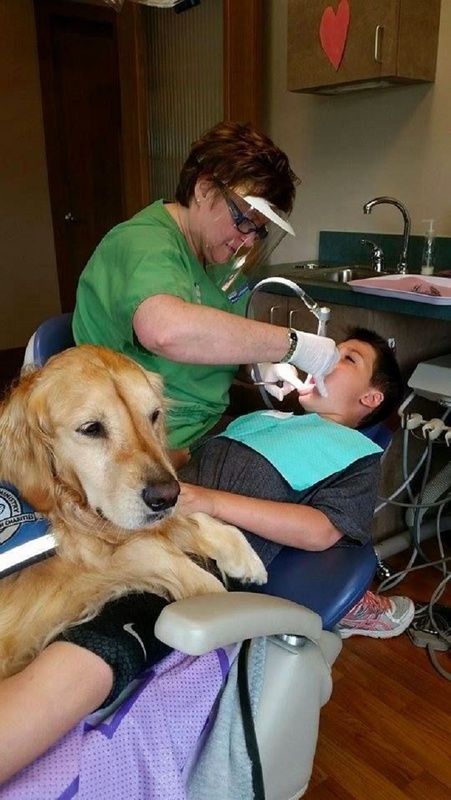 She is also the Pediatric Dentistry of Northbrook's furriest assistant. 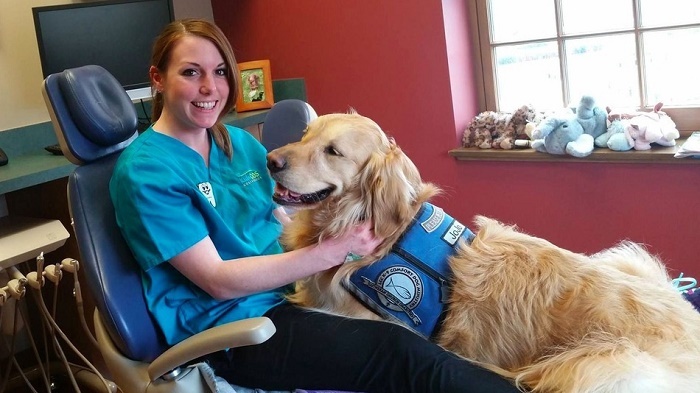 The pup is a trained comfort dog and her job is to ease the anxieties that often come with visiting the dentist. Many a times, the patients need nitrous oxide or other sedatives to help them relax. But when JoJo-pie comes in with them and sits in the chair, they are instantly comforted. 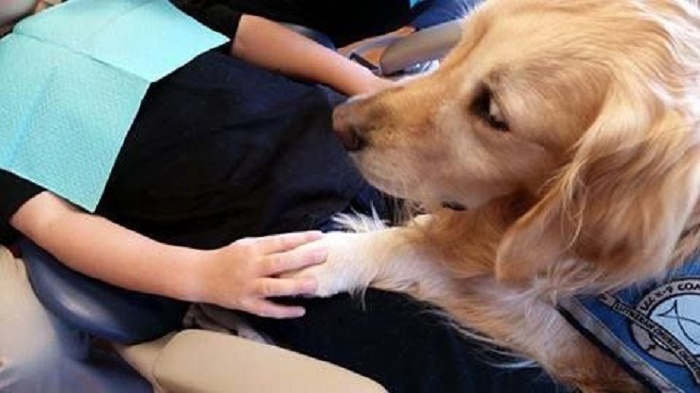 They are free to touch and pet her as they are getting their teeth cleaned! She does a really great job with them. 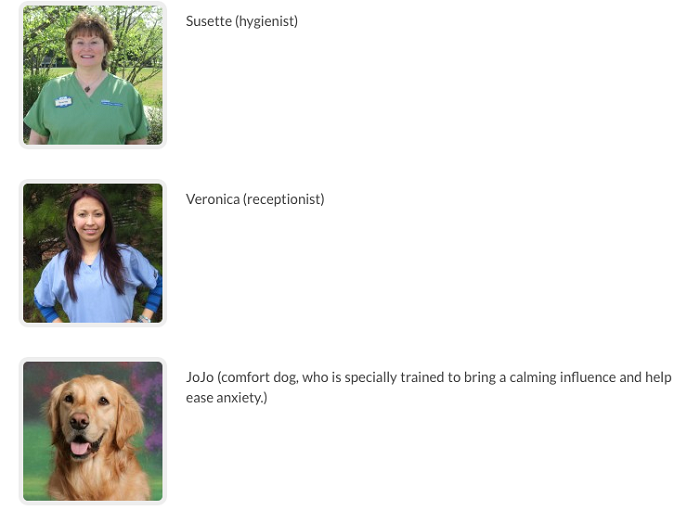 Not only does JoJo makes for a great furry friend around the clinic, but she is actually listed as staff on the clinic's website! This is pretty cool! Having an adorable face to greet and have an enjoyable experience at the dentist, is a perfect incentive to make regular visits without any excuses! Many patients who were actually very apprehensive about even walking in the door now look forward to their appointments! They say that the moment they walk in, they feel very relaxed. Well, there she is, waiting for them to pet her! Looks like we shouldn't wait and probably head to Illinois for our next cleaning appointment with JoJo! Previous Article 10 Reasons Why You Must Adopt A Retriever Atleast Once In Your Life!